The pizza is one of the most known and loved Italian dishes. 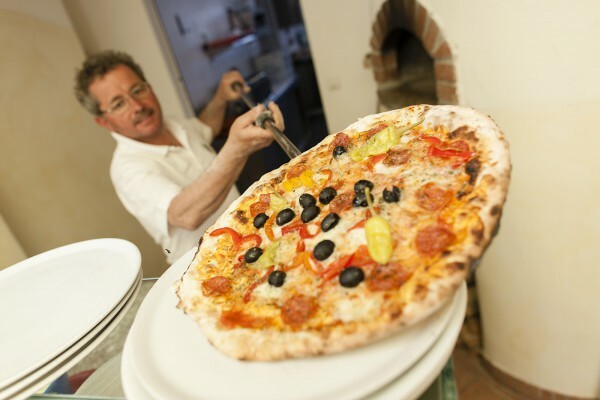 At the Hotel Pfeiss, you can enjoy tasty pizzas and participate at the pizza’s evenings every week. These evenings are a unique experience above all for the children. Here, in fact, each little guest will prepare his favorite pizza. With the help of our chef, the children will learn which ingredients are used to obtain a fragrant dough and how to cook with an original wood-fired oven. On request, we organize also kitchen parties, where you will have the opportunity to look behind the scenes. In fact, you will observe the chef to the work and discover how are created the tasty dishes of CookArt.